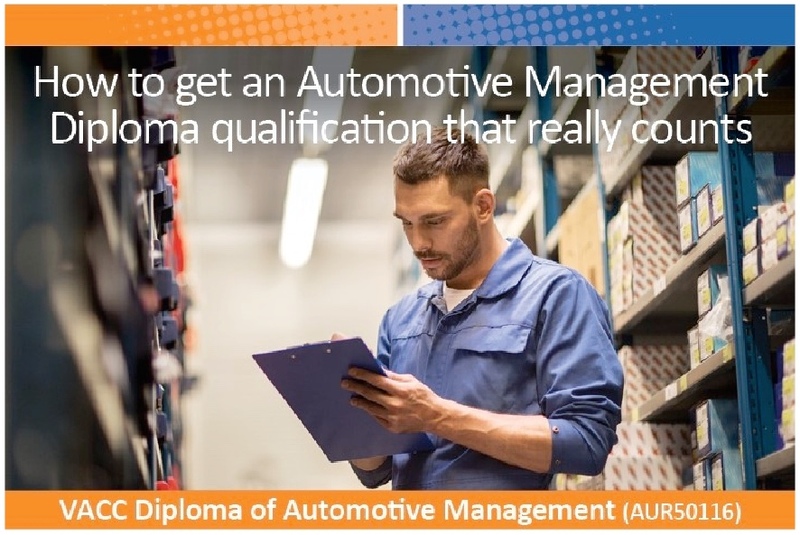 This Diploma is a nationally recognised qualification aimed at business owners, managers, supervisors or team leaders who aspire to grow and acquire critical management skills for the automotive industry. Get all the benefits of training with people form the Automotive industry and the opportunity to undertake assignments based around your own business. Phone 03 9829 1126 to find out your individual cost. This qualification is a pre-requisite for applying for the AAC02 Refrigerant handling licence. More information about the requirements can be found on the Australian Refrigeration Council website. To register for the course, please phone the Skills Development Centre on 03 9829 1126 for your individual cost. Attitude and measuring customer experience - Your attitude and ability to measure customer experience are key to attracting loyal customers and having a great sales career. Your presenter, Tony Foon, has a 38-year involvement in automotive industry aftersales, including 22 years with BMW in South Africa, Canada and Australia. He has also worked with brands such as Volvo, Audi, Jaguar Land Rover, Mini, Honda, Holden, Subaru, Mazda and Mercedes Benz. Today, Tony Foon delivers global training programs to the Asia Pacific, Australia and New Zealand Automotive retail and corporate markets. To register your interest, please email your details to info@vaccsdc.com.au. A course date will be set as soon as minimum numbers are achieved. 1 March 2018, 6 - 9pm, VACC House, Melbourne. Go to https://goo.gl/LCgxj8 to access the registration form.